The status quo approach to endpoint security is both ineffective and costly. 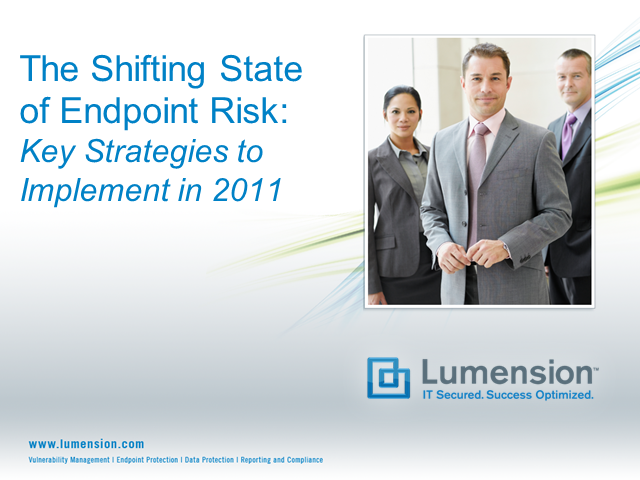 In the State of Endpoint Risk study, sponsored by Lumension and conducted by Ponemon Institute, organizations do not feel more secure than they did last year and IT executives acknowledge that the people, processes and technologies necessary to deal with a constantly changing IT risk environment are not supported by stagnate IT budgets. Meanwhile, operating costs are increasing and malware has proven to be a significant cost driver.